When Pakistan attacked Indian soldiers in Uri, the public outcry was immediate. There were widespread demands for reprisals, and India duly acted, launching its own strikes against Pakistan. Throughout the tense few weeks, China, as it has done historically, stood steadily on Pakistan’s side. Many Indians now want to teach their eastern neighbour a lesson for lending its support to what they believe is a terrorist state. They plan to do this by boycotting Chinese products. Over the last few days, there has been a strident campaign urging people to not buy Chinese products this Diwali. Emails, Facebook posts and Whatsapp forwards have invoked people’s patriotism, and have maintained that a boycott of Chinese products, which typically flood Indian markets during Diwali, will hit China where it hurts most. By not buying goods made in China, India will teach it a lesson for having supported Pakistan. But things aren’t nearly as simple as that. India might have the world’s second largest population, but it is China’s just 9th largest export partner. It accounts for just 2.6% of overall Chinese exports. The Diwali goods are an even smaller portion of this, thus making the amount that Indians plan to boycott truly minuscule. A boycott will cause no real effect on China’s overall exports. India might not figure very highly in the list of countries that China exports to, but China is India’s biggest import partner. A whole 12% of Indian imports come from China. That accounts for a negative trade balance of $48 billion (Rs. 3,36,000 crore). We depend on China a lot more than they depend on us – we have very little leverage in this situation. There’s a reason why Chinese goods are so popular around Diwali – they provide good value at a fair price. Indian goods, or goods from other countries, can’t compete. Chinese goods rule the markets because people want to buy them. 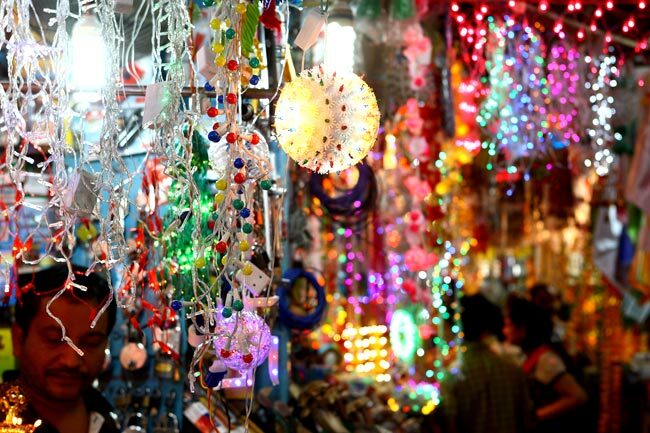 A boycott of Chinese goods will hurt the average Indian – instead of buying two cheap Chinese lights, they will have to be content with just one India-manufactured light. Instead of getting a fancy rocket that does cartwheels in the air, they’ll have to buy one that fizzles out midway. Which means an expensive, low-key Diwali for all of us. And at any rate, it’s far too late to call for a boycott. Diwali is just two weeks away, and agreements with Chinese importers have been signed, payments have been made, and goods have been delivered. They currently sit in little shops around India. For this Diwali, China’s out of the picture. If these goods remain unsold, the only people who’ll lose is the shopkeepers who’ve already ordered and stocked them. India has no bone to pick with China. Its chief issue is with Pakistan, a state that China supports. The best way to deal with Pakistan is to isolate it geographically – this can be done by making overtures to all neighbours, including China. India would do well to grow diplomatic ties with China, and slowly draw it away from Pakistan. In any case, China’s too big and powerful to be dealt with with threats – what’ll work is diplomacy and tact. While the call to boycott Chinese products might be ill-advised, one can see where it’s coming from. India’s suffered long at the hands of Pakistan’s terrorism, and China has repeatedly stood by it. A boycott of Chinese products seems appealing to many – it allows ordinary Indians to feel that they’ve contributed to the national cause, and through making a small sacrifice, have aided the national interest. But things are more complex that that. A boycott of Chinese goods does nothing to hurt China – it only hurts us. We need to get China to be on our side as far as Pakistan is concerned, but a boycott is not the best way to do it.